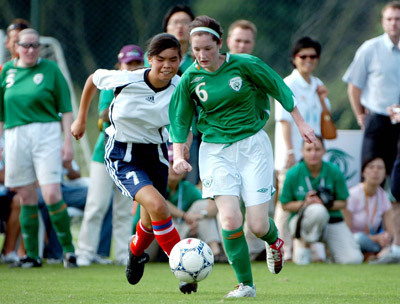 The FAI and Special Olympics Ireland have been partners since the early 1980s. Since then, the two organisations have worked closely to ensure the best possible opportunities are on offer to Special Olympics Ireland athletes as well as their coaching staff from grassroots up to international events. To date 128 international caps have been awarded to Special Olympics Ireland athletes and 105 coaches have obtained coaching qualifications through the FAI. Paul Breen acknowledges that his new role as Ireland Cerebral Palsy Head Coach will be a difficult challenge but it is one that excites him.